Prime Minister Jack Guy Lafontant before the House of Deputies on Jul. 14, 2018. It is doubtful he resigned beforehand. He was forced to do so during the session’s break. Until the bitter end, Haitian Prime Minister Jack Guy Lafontant tried to hold on to his post. But his situation had become untenable. Demands for his resignation from all sides forced him to leave. He had to resign to save the President. But he surprised many with his reluctance to leave his post. 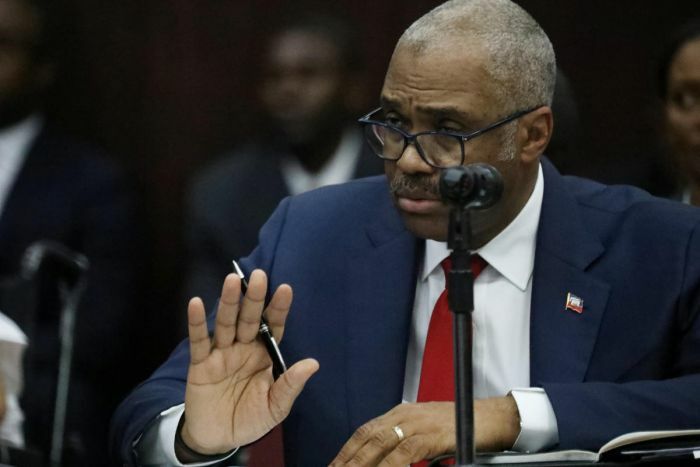 After three days of violent popular protests that shook the government, everyone thought that Dr. Lafontant’s resignation would be a simple formality. But it was not! The former gastroenterologist appeared more ambitious than expected and even quite the politician, a defect or quality that was hardly suspected. Since his appearance on Haitian National Television (TNH) on Sat., Jul. 7, the second day of popular demonstrations over fuel price hikes, it was said he was already overtaken by events. In fact, he had to play his role of buffer in order to protect the President. 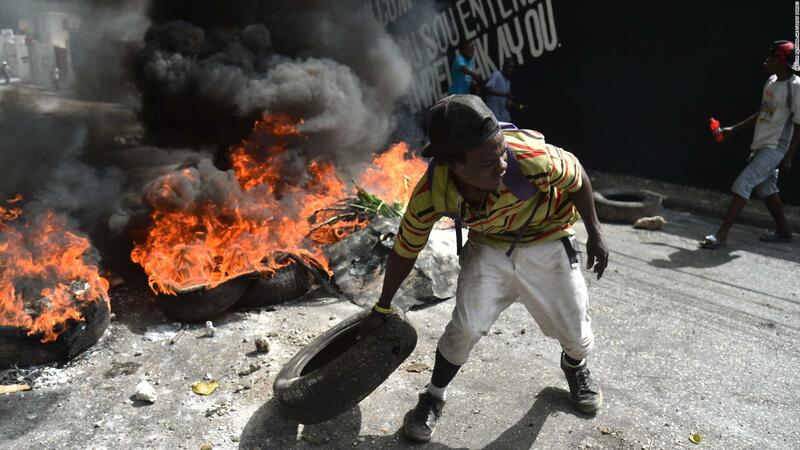 But the man did not seem to be willing to assume his responsibilities alone thereby putting in trouble President Jovenel Moïse whom the opposition holds responsible for riots, the violence of which was unprecedented since Jean-Claude “Baby Doc” Duvalier’s fall in 1986. For a week, Jack Guy Lafontant had many, many meetings in which he made far-reaching promises to almost everyone whom he thought could save him from humiliation before the Chamber of Deputies, where members of the opposition and even his own party were demanding his immediate resignation. Meanwhile, at the National Palace, the head of state, also shaken by the three days that had rocked his presidency, held meeting after meeting with representatives from all sectors (political parties, “civil society” organizations, employers’ organizations, business owners whose businesses had been looted and burned, trade unions, international community representatives, national institutions, popular organizations, etc.) in search of an honorable way out of a tense period which was clearly far from over. Opposition leaders failed to take leadership of the demonstrations and were running to catch up with the masses, who were way ahead, all while looking for a chink in the armor of the President, whose election they had never recognized. During all these meetings, the President heard only one thing: his Prime Minister had to go with all those who had helped put the country in this mess. Various Chambers of Commerce and business associations repeated that Jack Guy Lafontant was incompetent and therefore unfit to conduct the country’s affairs. They demanded his head from the President, who, it must be said, was very reluctant to let go of his joker, even though he was clearly no longer useful. Discredited in the eyes of everyone and despised by the political class, the prime minister had become a liability to be disposed of as quickly as possible. Even within the presidential circle, some influential voices argued that President Jovenel Moïse had to ditch Lafontant to restore confidence in the country. But during the hullabaloo at the National Palace, Jack Guy Lafontant did not want to go out without a fight. He tried, in vain, to cobble together his own majority in the lower house. Hence rumors and even statements by some senators that large pay-off were given to some deputies during the week leading up to the PM’s summoning. Here he was calling to be his witness the very same population which was demanding his head. Yet, despite these maneuvers, the Prime Minister’s fate was already sealed because there needed to be a scapegoat to save Jovenel Moïse’s skin. With no popular base in the shantytowns, countryside, or even diplomatic circles, Lafontant was only delaying the inevitable. By summoning Lafontant on Sat., Jul. 14, 2018 to appear before the Chamber of Deputies for a vote of confidence or a motion of censure, the leaders of the opposition were squeezing President Jovenel Moïse to jettison his prime minister. So the President was faced with a tough choice. Either supports his PM through thick and thin, thereby weakening his own position and providing grist to the opposition’s mill, or let go of the PM to spare him the humiliation of a vote of censure and save face. The latter solution would also stymie Senate President Joseph Lambert, who is clearly impatient to become the President of the Republic, although he postures as a man of appeasement and republican consensus. After a meeting held at the National Palace between the three powers (executive, legislative and judicial), Lambert said he was ready to assume his constitutional responsibilities, which are that, if the head of state leaves power, the Speaker of the National Assembly (Senators and Deputies) would fill the constitutional void. In the discussions, a group of senators came with the idea of summoning the Prime Minister if the session in the lower house did not take place. But, even when abandoned by all, Jack Guy Lafontant did not intend to be a sacrificial lamb. Until the eve of D-day, Jack Guy Lafontant and his team had not lost hope of staying in power. Given the Prime Minister’s largesse in recent days vis-à-vis some deputies, doubt had spread among some political observers. Above all, the Prime Minister kept up the pretense of having the President’s confidence. Nonetheless, there was a group of pro-government deputies who had no intention of voting for the Prime Minister, especially when he refused to see the ground dissolving beneath him. While opposition MPs pilloried Jack Guy Lafontant for inefficiency, what should have caught his attention was the silence of pro-government deputies, who are usually quick to leap to the government’s defense in the media. Finally the long-awaited moment arrived. The session was scheduled for 10 a.m. on Jul. 14 at Bord de Mer. The PM had only to cross Harry Truman Boulevard to join the Parliament at Bicentennaire. But the session didn’t start until around 1 p.m.. This is not new. 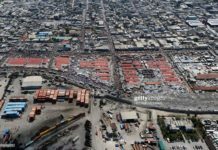 It has even become a habit in Haiti. The sessions for no-confidence votes never start on time. Last minute negotiations between different groups of elected officials are generally responsible. Tension was high in the Chamber of Deputies. Of the 117 deputies, only 61 were present at the roll call. But the meeting could begin because 60 make a quorum. This was the first sign of trouble for Jack Guy Lafontant, who thought he had done everything so that there would be no quorum. But still, he may have thought, there will be no quorum if one deputy leaves the room. However, to the PM’s great disappointment, several other deputies arrived to strengthen the quorum which finally reached 67. The successful quorum suggested a change of tactics by the majority bloc close to the administration. Although they appeared to be on the same page as the opposition MPs, Jack Guy Lafontant arrived at Parliament with almost all of his ministers and a smile that hinted he had the confidence of the President, who, he thought, controlled the deputies of the majority bloc. Everything was ready for the opening of hostilities. The President of the Chamber of Deputies, Gary Bodeau, opened the session. Without wasting time, a member of the PM’s camp, the flamboyant deputy of Kenskoff, Alfrédo Antoine, went to the podium. He was angry for the lack of respect, according to him, of procedure. He clung to the podium refusing to make way for one of his opposition colleagues who asked for the floor. However, Antoine did not defend the government’s record. This zealous supporter of President Jovenel Moïse was content with the strict point of law. Finally, Bodeau, called on security (the ushers) to tear him from the podium. Next, it was one of the opposition spokesmen in the lower house, the Petit-Goâve deputy, Marcel Lumérant, who made a scathing review of Jack Guy Lafontant’s government over the past 17 months. He charged that Lafontant had violated the Constitution by not seeing fit to dismiss the four ministers whom the Superior Court of Accounts had flunked during their appointments. Some people should not have been cleared after they had managed the state’s money. The audience was surprised by the Petit-Goâve deputy’s intervention because he practically said not a word about the recent events that shook the country and caused at least 20 deaths and damage amounting to several million U.S. dollars. Throughout Lumérant’s intervention, Jack Guy Lafontant smiled as though the deputy was wasting his time pontificating without saying anything serious. 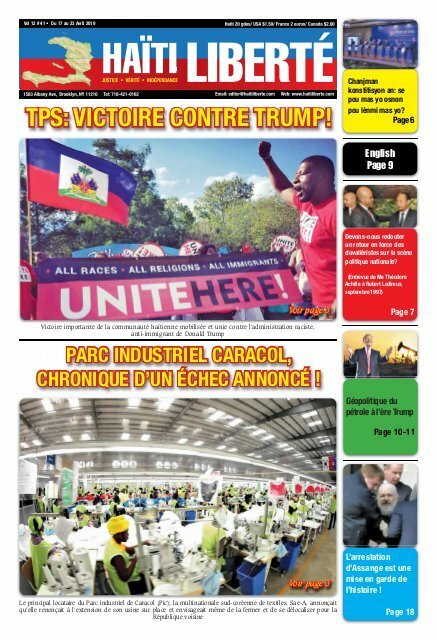 According to some observers and editorialists present, the PM’s attitude proved that he had the backing of President Jovenel Moïse and the deputies in his camp. As a result, his sin was perhaps overconfidence because, at no time, did an elected official come to support him. 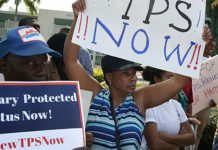 Finally, Jean Wilson Hyppolite, the leader of the Parliamentary Alliance for Haiti (APH), the majority bloc, went to the lectern to ask for a suspension of the session without saying anything in favor of the Prime Minister, who remained oblivious to the scene that was playing out in front of him. He maintained the same mocking smile. But when the deputies returned to the Chamber after the break, Jack Guy Lafontant wore a very different expression. Dark and bothered, the Prime Minister appeared to be someone who had just heard some bad news. Indeed, Jack Guy Lafontant totally lost his temper when he delivered his speech to the parliamentarians who, it is true for the most part, had already been in on the secret, dirty trick they had played on the smiling man of only a few minutes ago. 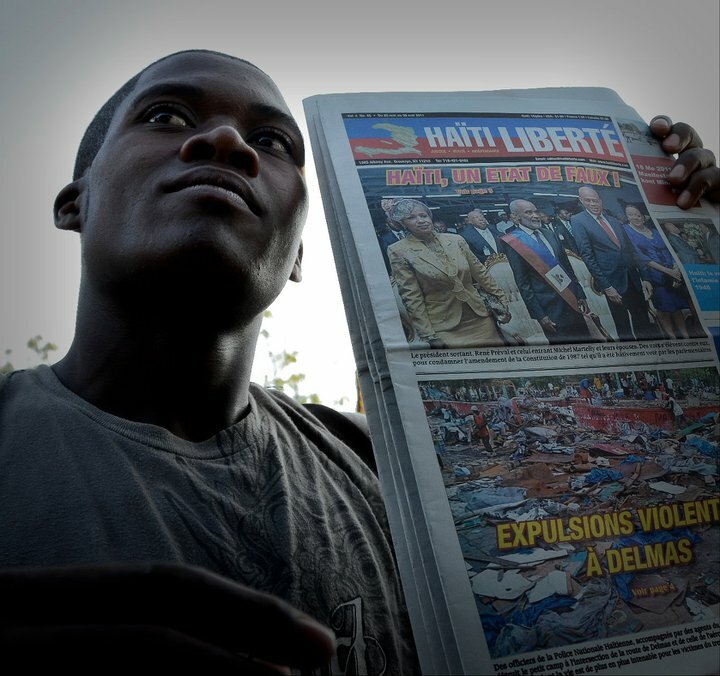 He attacked almost everyone, including the bourgeoisie of Pétion-Ville and Kenscoff, and especially the National Police of Haiti (PNH), which he accused of being responsible for what happened during the riots of Jul. 6, 7, and 8, 2018. 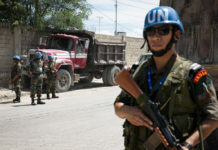 The now former prime minister even ominously detected in the police the seeds of the former Armed Forces of Haiti (FAd’H) . He even advised the Parliament to take as soon as possible all the powers of the National Police or perhaps the Director General of Police. Except there was a problem, a big problem, with this proposal. The Prime Minister presides over the Superior Council of the National Police (CSPN), which includes the Minister of Justice and Civic Security, the Minister of the Interior and Territorial Communities, the Commander-in-Chief of the Police Force, and the Chief Inspector General of the National Police. Pained that his plans had been foiled, Jack Guy Lafontant shot arrows in all directions, even attacking certain Haitians of whom one should indeed be wary and who must not be in charge of state affairs. Hence it was a demagogic speech. Finally, the man who had desperately clung to power dropped his bomb. He said that in fact he was no longer Prime Minister. Before coming to Parliament, he had supposedly already submitted his resignation to the President, who had accepted it. At first some deputies applauded what appeared to be a wise decision, but the applause quickly ended They realized the political blow, even the affront, made to Parliament by the doctor. They did not appreciate the gesture at all. All or nearly all sharply criticized him. Something happened in Parliament’s diplomatic salon during the break. Noting Lafontant’s resistance to leaving his post, some influential pro-government deputies forced the hand of President Jovenel Moïse to have his PM resign by threatening to remove him in a humiliating way on their return from the break. It appears that the resignation was concocted or decided on during the break. As a result, a ploy was set up by the three parties involved: the President, the Parliament, and Lafontant, who said he had already submitted his resignation letter to President Jovenel Moïse. This consensus was able to unblock a situation where Jack Guy Lafontant had taken almost everyone hostage. The parliamentarians would have had oust him following the events of a week earlier because the whole society, including the famous “international community,” wanted him to step down. This “international community,” particularly the International Monetary Fund (IMF), wanted at all costs to protect Jovenel from the situation that it had caused and thought it appropriate that Jack Guy Lafontant play the role of fuse. Therefore they asked for his immediate resignation. It appears that the resignation was concocted or decided on during the break. Under the Constitution, if the prime minister had already resigned, he should not have come to speak to the parliamentarians. If he had submitted his resignation, which had been accepted, the ex-PM would have committed an act of fraud. But we think he did not resign beforehand. Otherwise, he would have just forwarded a copy of the letter to the President and Vice President of the National Assembly, respectively Joseph Lambert and Gary Bodeau, to confirm his decision. So it took a lot of pressure to pry Jack Guy Lafontant from the Prime Minister’s chair. Now the country must find a successor. Whether man or a woman, his replacement faces an enormous challenge. The country’s political, economic, and social situation is in chaos. As for the population, it is at a crossroads, looking for a leader or leaders who will know how to take into account its distress.